With a Walkscore of 97, everything you need is in walking distance or an easy bike-ride, including a Whole Foods, corner stores, coffee shops, restaurants, bars, and even the Fox Theatre. Check Goldstar for any upcoming shows and events! Downtown Oakland has thriving business during the day and offers trending nightlife with a mix of restaurants and bars. If you’re here the first Friday of the month – check out the “First Friday” art, music, and food festival. 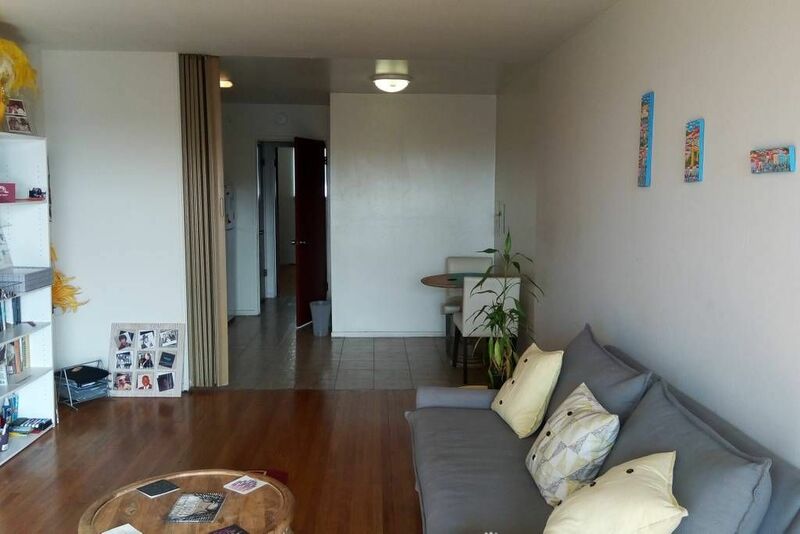 This is a spacious, clean, comfortable, and peaceful 1 bedroom apartment for 1 or 2 guests. The bed is a California King and you will have private space for your belongings. You have full use of the kitchen, the TV has Amazon Prime movies, etc, and you can use a brand new yoga mat should you choose to. Lake Merritt offers a loop path that’s approx. 3.5miles. The boathouse offers kayaks, paddle boats, and rowing rentals. And don’t forget to scope out a sunrise or sunset. The lake offers incredible views for both! *Please do not wear shoes inside of the apartment. *The light switch next to the front door powers the WiFi. Leave this light switch on. To turn the lamp on and off, turn the handles directly on the lamp. *The wardrobe on the bedroom wall next to the mirror is your private space for your belongings. You may hang your clothes and use the shelves on it. *Please do not go in nor use my closets, dresser, etc. *Building quiet hours are from 10pm to 8am. *Please wash all dishes before you check out.